This is a new painting…..
As I pondered the yellow lillies before me I could feel them dancing in the sunlight….. Copyright Burgess 2016 (c) All rights reserved. 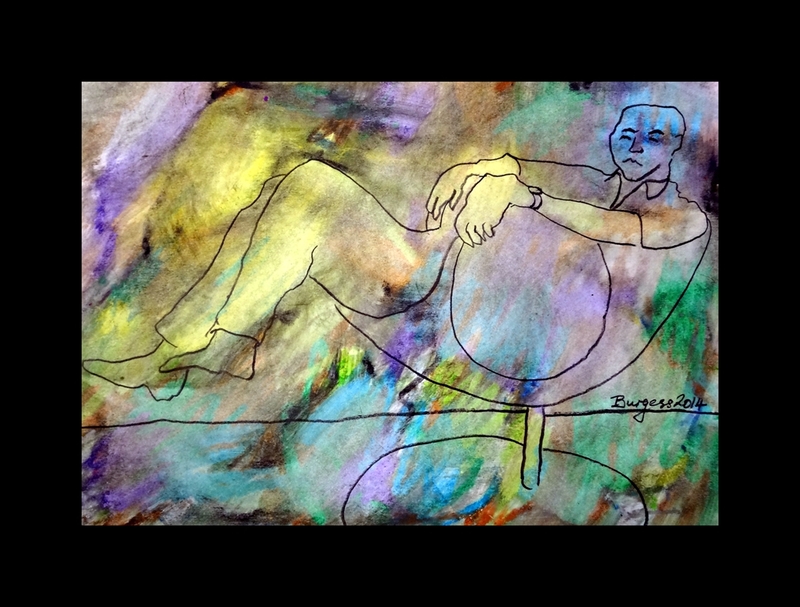 Another new mixed medium work on paper……. What I dream of is an art of balance, of purity and serenity devoid of troubling or depressing subject matter – a soothing, calming influence on the mind, rather like a good armchair which provides relaxation from physical fatigue. Copyright Burgess 2014 (c) All rights reserved.